Designed hand-cranking not only safe but also ergonomic: The friction disk brake equipped with a shuttle valve on our wire rope winch prevents from unintentional lowering of the load in every position. The wire rope winches with tension loads of 150 kg up to 1350 kg have been galvanized in order to improve corrosion protection. Therefore it is especially suitable for outside use. Who rests does not necessarily has to rust! 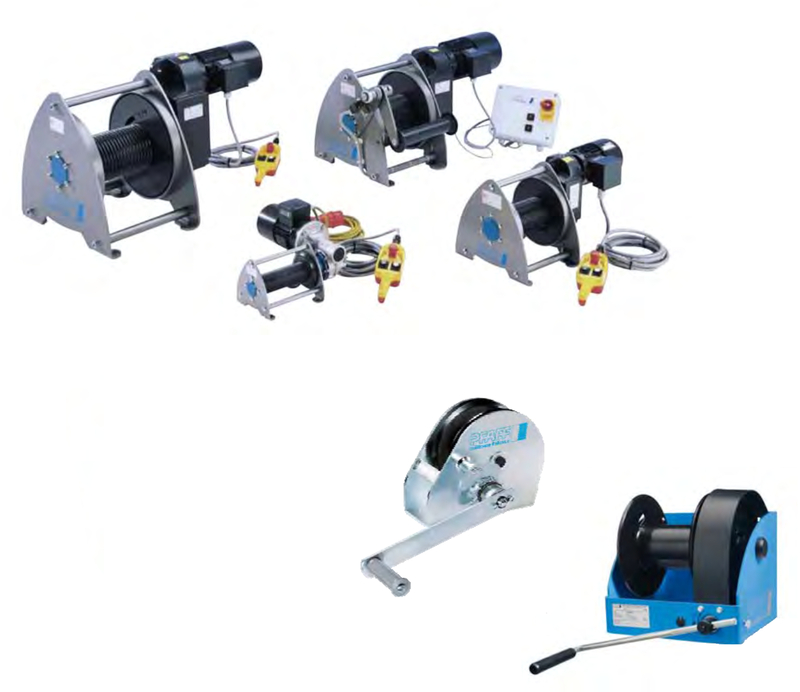 The robust high-quality wire rope winch LB made of stainless steel V2A is especially suitable for sewage treatment plants, in the chemical industry and for the food industry. It does not matter whether used as winch for lifting, the opening of sliders and gates or for the lifting or lowering of wet-pit pumps – our console-mounted hand wire rope effortlessly succeeds. Sold and Serviced by Motion Technologies Pty Ltd. Ph +61 2 9524 4782.